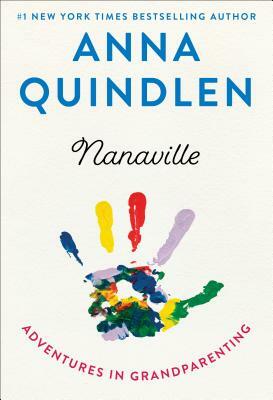 Candid, funny, frank, and illuminating, Quindlen’s singular voice has never been sharper or warmer. With the same insights she brought to motherhood in Living Out Loud and to growing older in Lots of Candles, Plenty of Cake, this new nana uses her own experiences to illuminate those of many others. Anna Quindlen is a novelist and journalist whose work has appeared on fiction, nonfiction, and self-help bestseller lists. She is the author of nine novels: Object Lessons, One True Thing, Black and Blue, Blessings, Rise and Shine, Every Last One, Still Life with Bread Crumbs, Miller’s Valley, and Alternate Side. Her memoir Lots of Candles, Plenty of Cake, published in 2012, was a #1 New York Times bestseller. Her book A Short Guide to a Happy Life has sold more than a million copies. While a columnist at The New York Times she won the Pulitzer Prize and published two collections, Living Out Loud and Thinking Out Loud. Her Newsweek columns were collected in Loud and Clear.